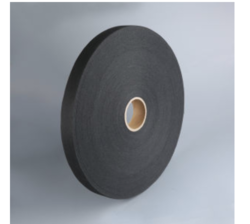 Providing you the best range of water blocking tapes, copolymer coated eccs armour tape, semi conductive woven tape, semi conductive water blocking tape, water blocking tape and non conductive water blocking tape with effective & timely delivery. 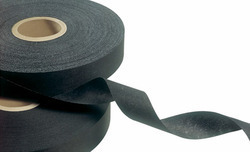 Water Blocking Tapes And Flat Yarns ingress is harmful to the energy, phone and fiber optic cables. These cables are exposed to accidents such as pickaxe blows, rodents or water treeing which further leads to penetration of water inside the cable. Energy, telephone and optical fiber cables are sensitive to any longitudinal penetration of water and hence, it is vital to provide protection which ensures the cable's longitudinal water-tightness. Plastic Coated ECCS Armour Tape. consists of a low carbon, electrolytically chrome-coated steel foil coated on both sides with the copolymer of LDPE. The copolymer exhibits excellent adhesion to the metal substrate as well as low, linear low, medium, high-density polyethylene as well as a chlorinated polyethylene. The stainless steel foil is annealed that gives it an excellent formability and fabrication characteristics. Our organization has successfully expanded its business in the market owing to the offered elevated quality array ofSemi Conductive Woven Tape. 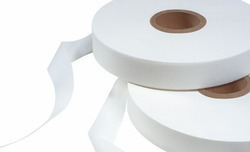 The offered tape is woven using superior quality basic material and the progressive technology. In addition to his, a team of our quality experts rigorously check this tape against various quality parameters to seek out any possible defect. Our prestigious clients can avail this tape from us in different customized options at market leading prices. Optimum storage conditions T=18-28 DegreeC RH50%). Protect material from dust, humidity, heat, liquids. Store material in original, sealed packaging when not used. 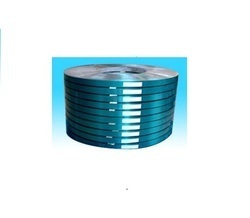 We manufacture Semi Conductive Water Blocking Tapes as per Clients requirement. We manufacture and supply Water Blocking Tapes as per customer requirement. 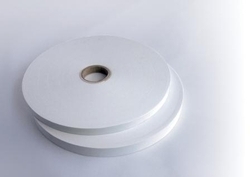 We are the leading manufacturer of Non Conductive Water Blocking Tapes. 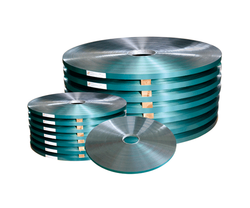 Leveraging on our years of experience and in-depth knowledge of this domain, we are offering a wide range of quality-assured Two Sided Plastic Coated Stainless Steel Tape to prestigious clients. This tape comprises annealed and soft stainless steel foil, which is coted with the copolymer of LDPE on both the sides. This tape is widely used to join the joints. Prevents fatigue failure at the splice case.